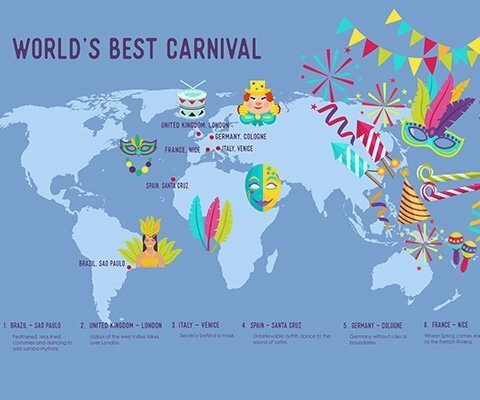 Brazil is lucky to be the country with the greatest variety of flora and fauna on the planet: plants, animals, ecosystems, microorganisms, and so much more, which are all unique on Earth. But that is not the only record it holds! Brazil also has the largest number of known mammal and freshwater fish species, the second largest number of amphibians, the third largest number of birds and over 50,000 species of trees and shrubs. With such a wealth of biodiversity, no wonder it is a source of creative inspiration, to be found among the beautiful Rufous-bellied thrush birds and the huge Lupuna trees. 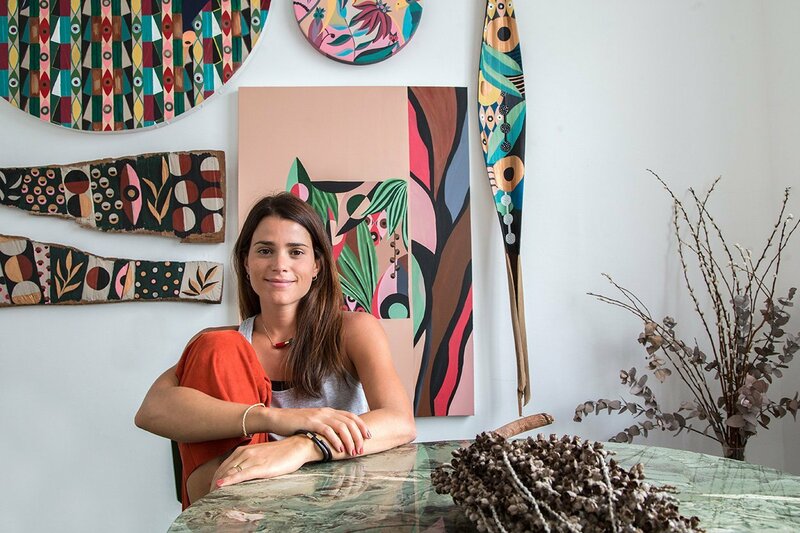 Naia Ceschin is a 30 year-old Brazilian multidisciplinary artist and accomplished designer, illustrator and general lover of Nature and the shapes and colours it provides. Her designs look for the perfect balance between the geometric and organic shapes to be found in a world dominated by vibrant colours. Although she initially worked with a very digital process, bit by bit, Naia left computer generated work for a more manual and handcrafted form of art. 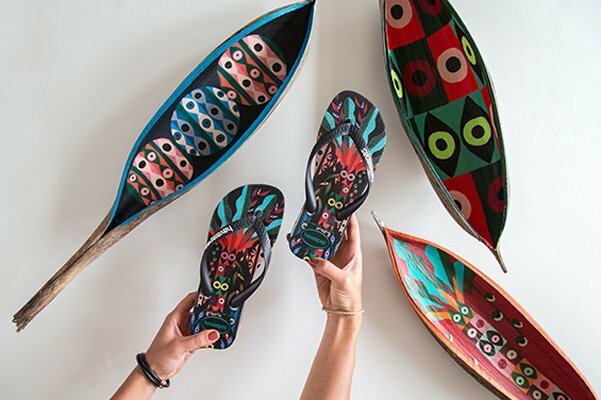 The vivid colours of her creations reflect the diversity of her home country and highlight the spontaneous and positive energy that emanate from its roots: “I like to mix these elements (geometry, tones…) on different surfaces like wood, ceramic and leaves. That is what I love to do”. 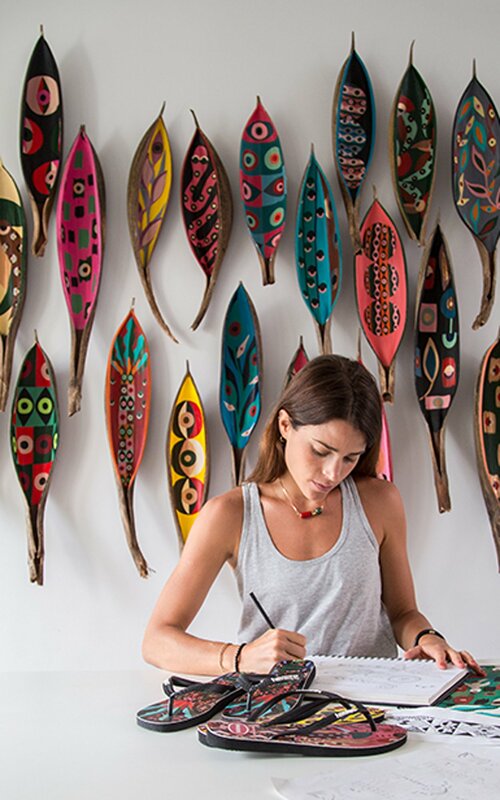 Born in São Paulo, Naia defines herself as “a Brazilian graphic artist who loves nature for its abundance and glorious beauty, generous shapes and colours”. 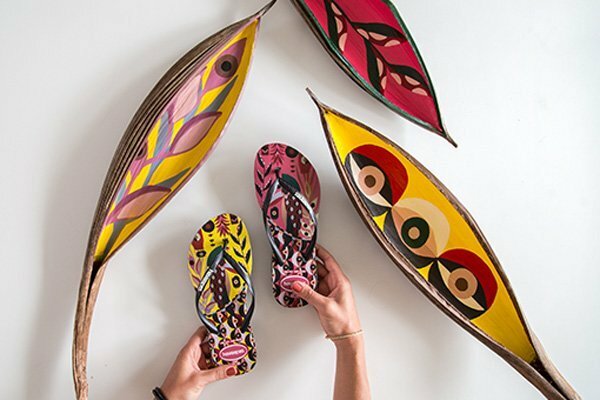 'Retratos do Brasil' (Portraits of Brazil) is the name Havaianas gave a project which supports Brazilian artists so that, through their creations, one may get to know the varied aspects of their country’s culture. 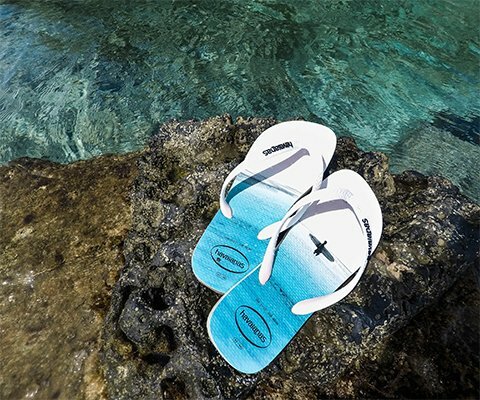 This edition of the interesting initiative focuses on Naia Ceschin’s art work as its center piece. 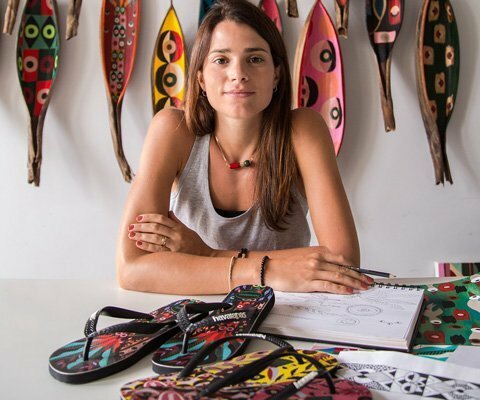 The Audiovisual Communication graduate and lover of Brazil’s flora and fauna has prepared two models for Havaianas: a more feminine version with flower designs, and a unisex range with geometric shapes: “In my collaboration with Havaianas, I’ve been able to show my interest in the mysteries of Nature’s diversity in a fun and vibrant way”.